Why seek out legal counsel? In British Columbia, individuals who suffer injury as a result of someone else’s fault may be entitled to compensation. To ensure that brain injury survivors have the best chance to explore funding options and, if possible access funding, it is important that they seek qualified legal assistance at the earliest possible time. Lawyers who specialize in brain injury cases are often the only route to accessing funding for the necessary private professional services, life long care and compensation for lost income and/or earning capacity. Lawyers with experience in the field of TBI litigation have unique professional experience specifically relating to rehabilitation and financial compensation. They act as advocates for the needs and interests of the survivor and their family. As most survivors of TBI have none (or a minimal amount) of their own insurance to cover these expenses, the key to obtaining these services is often through accessing a responsible third party’s insurance. Qualified legal counsel may be required to do this. Lawyers in the field of TBI litigation may also have knowledge of neurology, neuroanatomy, neuro-imaging, neuropsychology, neuropsychiatry, rehabilitation medicine and related disciplines. This enables them to understand the complex and unique needs of each person with a TBI. Do you have a legal question or issue? Ask the experts at Murphy Battista LLP , injury lawyers focused on helping clients get their lives back. Complete and submit the electronic form below. Disclaimer: Please note that BCBIA personnel are not qualified to provide specific legal advice, nor are they qualified to make specific recommendations about the legal representation that is right for any individual circumstance. The legal information provided on brainstreams.ca by BCBIA is for general information only and should not apply to your specific situation. You are responsible for your own specific situation and should not rely exclusively on this material. It is meant to serve as a guide. 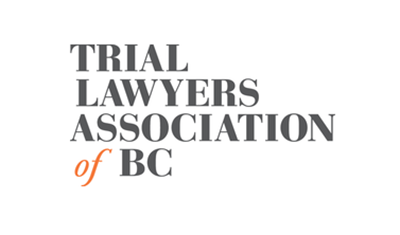 TLABC is a non-profit society with a membership of over 1400 legal professionals. Do you live in British Columbia (BC) or know someone who does? Clicklaw can help you find relevant legal information, educational resources, and services from over 25 contributor organizations. Murphy Battista LLP represents injured people in complex personal injury, medical malpractice, and insurance cases. We are a leading personal injury law firm with offices in Vancouver, Surrey, Kelowna, and Vernon. We serve clients across western Canada. Search out specialized experts. Recovery from TBI is a complex life long process. 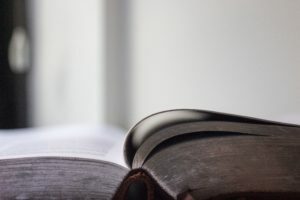 Though the following questions were designed to help select legal counsel, they can form the basis for the selection of a specialist in any related field. Not all professionals are equally qualified to provide services following brain injury. Search for and retain the best in each field. For each of the criteria listed below, individuals are graded from 0 to 3. To guide your selection process you may want to base your decision on which legal counsel received the highest overall score. Question: How would clients and families describe their experiences working with you? Are you willing to provide me with client and family references? A specialist will have satisfied clients and family members and will be known to professionals specialising in brain injury work. 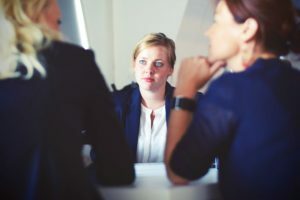 If you would feel more comfortable with speaking to someone about the lawyer you are considering obtaining to represent you you must not hesitate to ask this question. Question: What proportion of your present workload is brain injury? The answer to this question will tell you whether or not the person you are interviewing is a specialist in brain injury and is capable of handling a serious injury case. Question: How long have you been practising in the field of brain injury? How many brain injury cases are you currently handling? 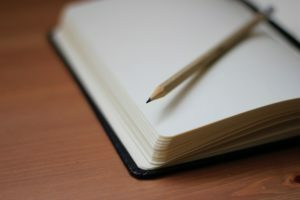 The answer will give you a good idea of the individual’s experience, and their familiarity with brain injury work, i.e. whether or not they deal with such cases on a regular basis. Question: Describe your involvement in your client’s medical and rehabilitation care? It is necessary to advocate on behalf of clients to obtain the best care available. The first priority is the TBI survivors’ care and well-being. Your lawyer should assist in the recovery process however possible. Question: Describe your experience working within the brain injury community? Level of involvement in the brain injury community reflects the counsel’s commitment to the field as well as their understanding of brain injury and related medical, social and legal issues. Question: How do you and your firm support brain injury related causes and the brain injury community including local brain injury societies or related associations? The members of these associations are often very helpful to people with brain injury and their families. Counsel’s involvement with them reflects their commitment to the brain injury field and the lifelong care of their clients. Question: Can your clients reach you 24/7? If not, what type of back-up do you provide? A crisis can arise at any time and a TBI lawyer must be accessible to their clients at all times. Question: Does your firm work as a team on behalf of your clients? 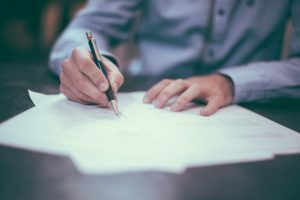 It is helpful to note that specialized lawyers in this field typically do not charge for an initial consultation and investigation of these issues. Sometimes it can be a challenge to understand all the different insurance and government plans, and to find your way through the system. You can get help from a variety of sources. Below are some advocacy resources to explore. There are many specialized rehab and support services in the community that are not paid for by the Government. Funds may be required to pay for services such as post acute rehabilitation, life long care and compensation for lost income and/or earning capacity. In British Columbia, individuals who suffer injury as a result of someone else’s fault may be entitled to compensation. In these situations, it may be necessary to seek legal counsel, as litigation may be the only route to access the compensation required to pay for the necessary services. DABC’s Advocacy Access Program has been a place of support, information and one-to-one assistance for people with all disabilities. Explore our BC Benefits Help Sheets on your own directly from our website. Social workers are educated, experienced, accountable professionals who help people find constructive solutions to physical, social and emotional problems. Social workers assist individuals, families and communities to resolve problems that affect their day-to-day lives. People consult social workers when they are going through a difficult period in their personal, family and/or work life. 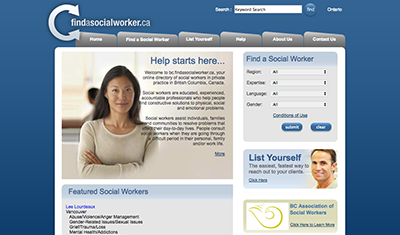 Explore the online directory of social workers by using the link below.